The Iraqi parliament has urged the country's government to set a clear-cut timetable for the withdrawal of foreign troops from Iraq, which were deployed there to help fight Daesh (ISIS) terrorists. The Shiite militant group Hezbollah in Iraq has welcomed Iraqi lawmakers' decision to request that foreign forces leave the country, while also pointing to the US military's drive to stay in the country, according to Fars News. "The parliament's decision stresses the nation's right of resistance against the foreign forces. This statement has attracted the attention of the US administration, which attempts to justify keeping its forces in Iraq using a few schemes. The US creates new terrorist grouplets to justify the continued deployment of its forces in Iraq," a Hezbollah spokesperson said. The statement came a few days after the Iraqi parliament requested that clear deadline be set for the withdrawal of all foreign troops from the country, including US forces which are staying there under the pretext of containing Daesh militants. Even though Iraqi Prime Minister Haider al-Abadi hailed the country's army following its victory over Daesh in December 2017, the terrorist group currently continues to conduct attacks on selected targets, and has switched to guerilla warfare tactics. In early February, an Iraqi government spokesman confirmed that the US had begun to draw down its forces in Iraq after Baghdad's declaration of victory over Daesh. 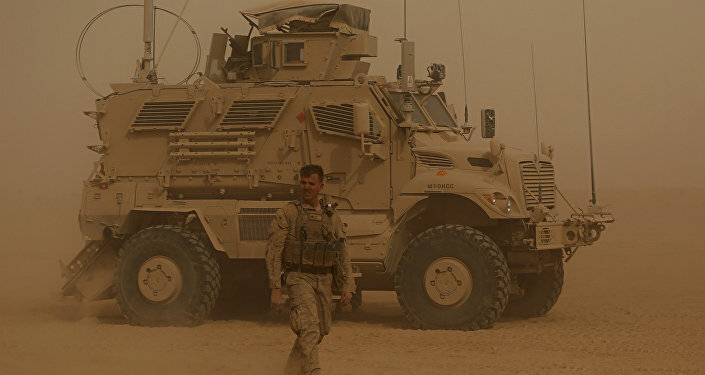 The initial bilateral agreement stipulates the withdrawal of about 60 percent of the current US contingent from Iraq, while 4,000 troops would stay there to train the Iraqi military.